NaÃ¯ve, young Tian Si Si, the apple of her father's eye and the sole heir to her family's riches, believes that she is in love with the great romantic hero, Qin Ge of the Meteor Clan. She dreams of traveling the martial arts world, actually meeting Qin Ge and having adventures just like many of the stories that she has read and heard. From childhood, she has been betrothed to the younger son of General Yang, Yang Fan, whom she despises. 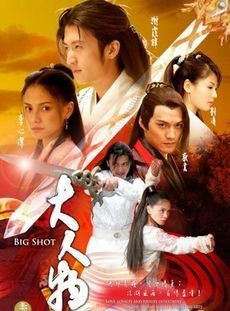 Handsome, melancholy, talented Yang Fan has been on a mission for his father to secretly investigate the Meteor Clan whose upright reputation and strength has been rising in the martial arts world to rival that of Shaolin and Wudang. He comes back injured and somewhat changed, troubled with memory loss after an investigation. He marries Tian Si Si as his father ordered, but Tian Si Si has other plans for her life and runs away at the first opportunity. She quickly becomes entangled in plots and counter plots as she discovers the real world. Both Yang Fan and Qin Ge are ordered to go after her. All is not what it seems as the Meteor Clan and its members, rivals and government agents are at work behind the scenes.